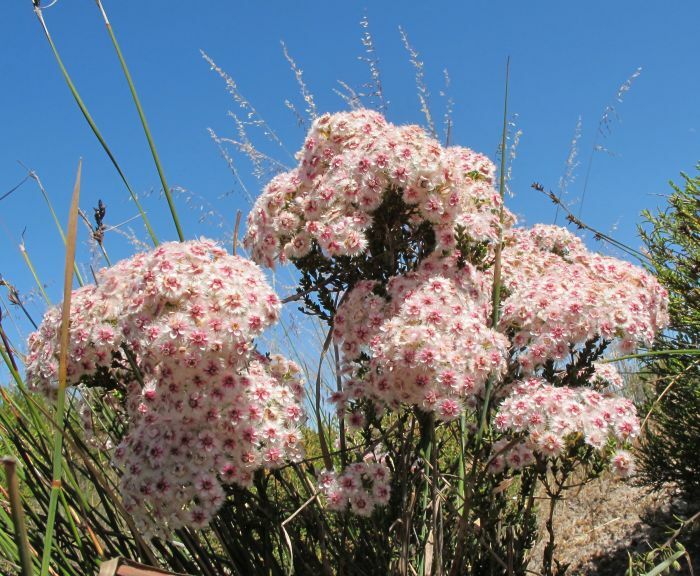 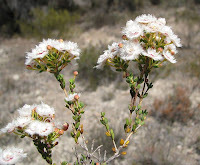 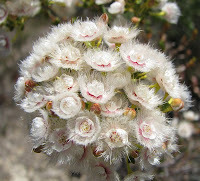 The Verticordia genus (member of the Myrtaceae family) is a highly ornamental group of plants with tightly arranged flowers and extensively divided sepals and petals from which their common name of Feather Flower is derived. Verticordia inclusa is a common widespread species mainly to the west of Esperance, with only limited collections to the (near) eastern side of the town. 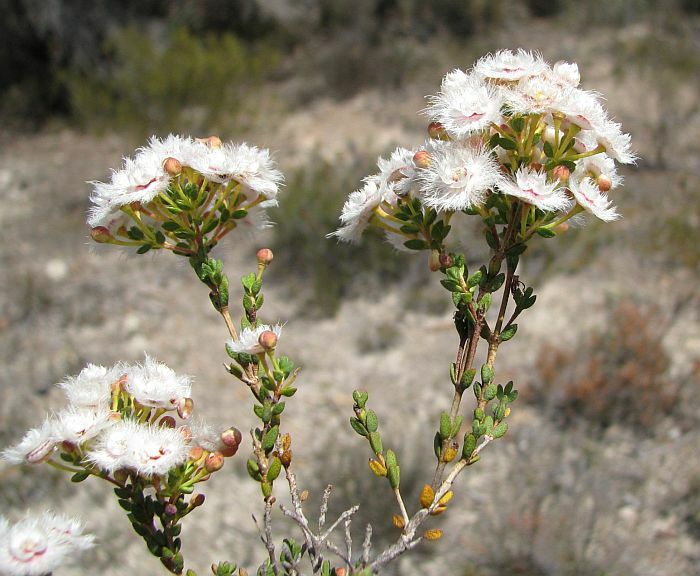 The species ranges to 300 km (190 miles) directly west and to 580 km (360 miles) northwest of Esperance. 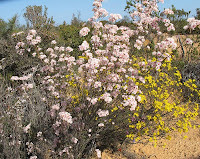 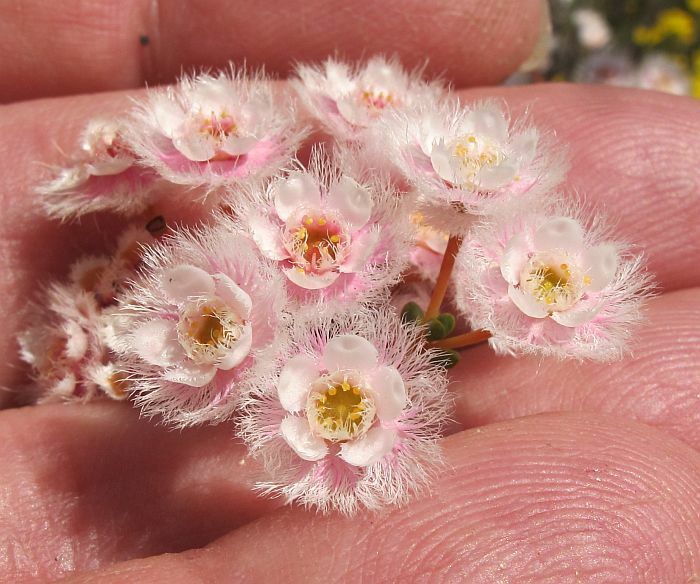 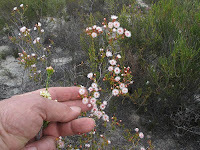 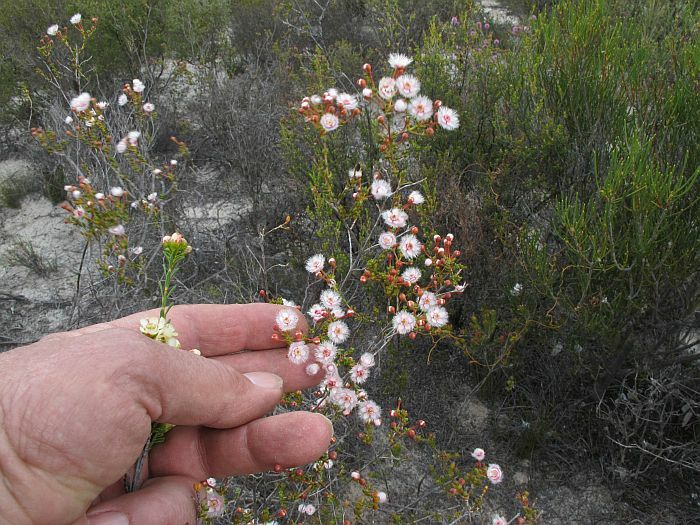 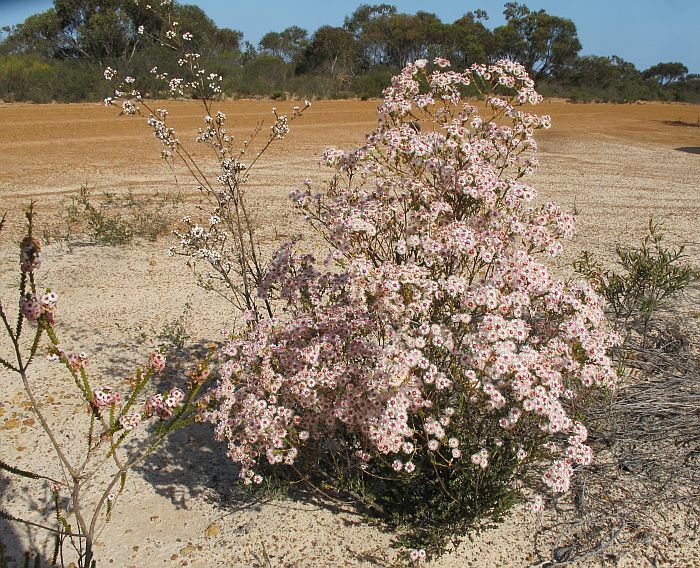 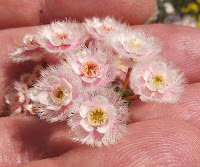 Locally, Verticordia inclusa shows a strong preference for shallow sandy soils over gravel and is found in coastal heath and sand/gravel patches in the mallee. 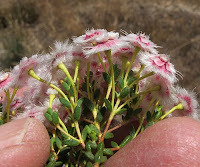 It was originally lumped in with Verticordia roei (see here), although is more closely related to Verticordia insignis that occurs further west. 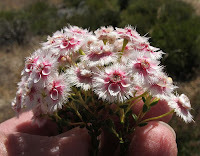 It was separated from these species due to its much shorter style and stamens, which are contained within the flower and from where the botanical name originates. 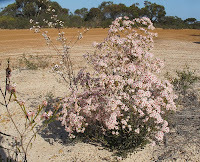 Verticordia inclusa seldom exceed a metre (3’) in height, although older plants under mallee eucalypts can get a little taller, but are usually then quite spindly. 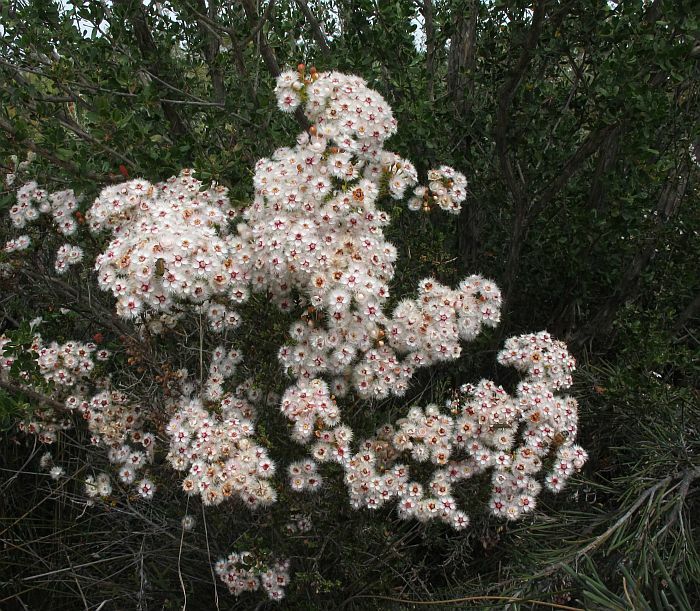 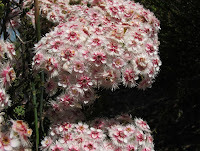 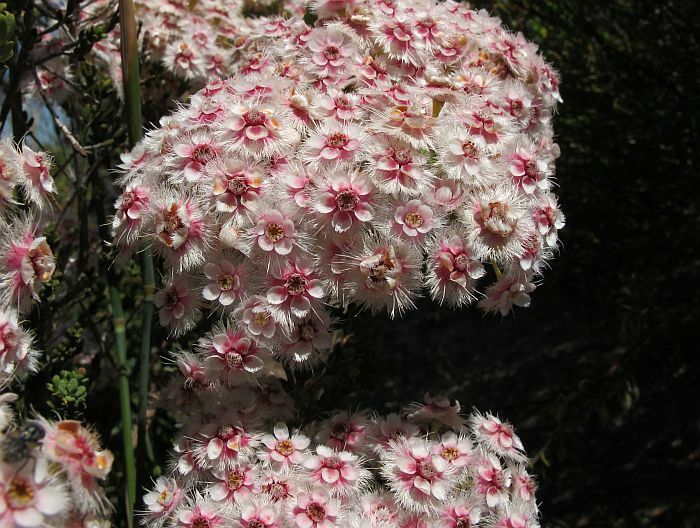 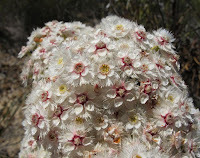 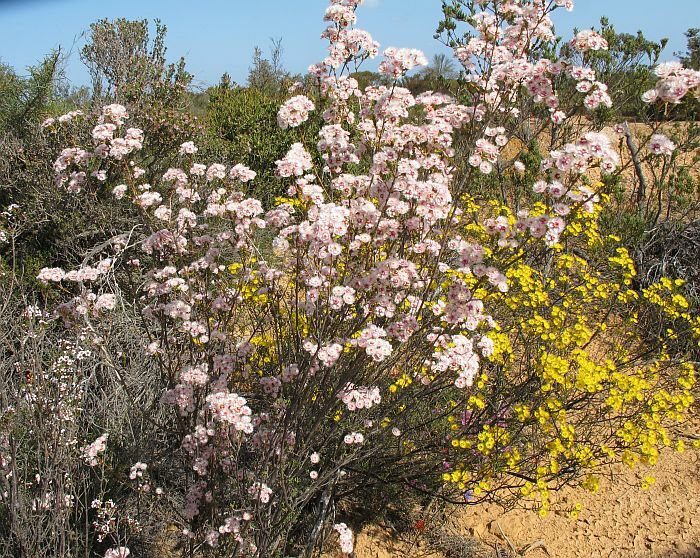 The flowers are basically white or pale pink with a pink to red centre, which present themselves from August to November. 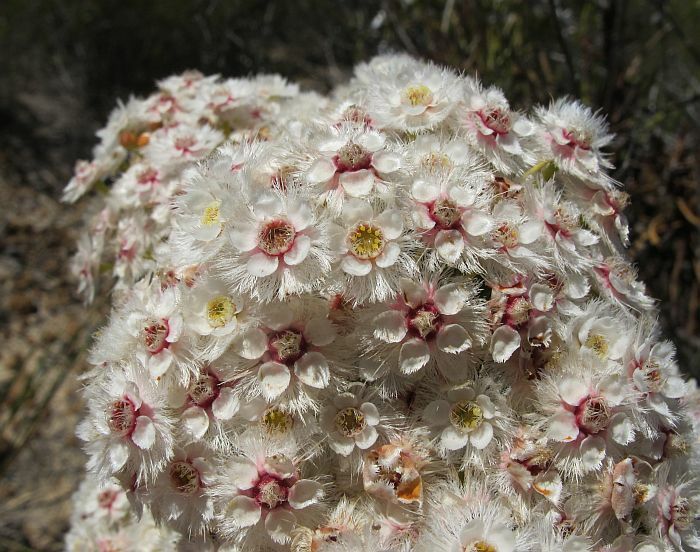 Insects like beetles, flies and wasps pollinate them and do so by simply crawling over the bunched floral heads sampling the pollen and nectar as they go.